The trailer for Deadpool 2 has been launched, revealing that the film will introduce the X-Force. Directed by David Leitch, the sequel to the 2016’s Deadpool follows Deadpool (Ryan Reynolds) as he’s bringing together a few superheroes in his attempt to fight Cable (Josh Brolin), who’s intended to kill a kid with powers. The trailer, soundtracked by a rendition of Air Supply’s ‘”All Out of Love” and LL Cool J’s “Mama Said Knock You Out”,”opens with Deadpool crash landing into a taxi after running away from a mob and rushing home, where his fiancee, Vanessa (Morena Baccarin), is waiting for him. He apologizes for being late and explains he was rounding up all the gluten in the world and launching it into space where it can’t not hurt us ever again.” Josh Brolin’s character, Cable, a time-traveling soldier cybernetic mutant, is seen making an entrance and revealing he’s there “for the kid”. 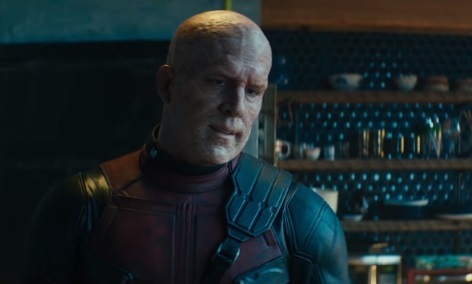 The trailer also gives viewers glimpses of the X-Men from the first Deadpool, Negasonic Teenage Warhead, played by Brianna Hildebrand, T.J. Miller, Leslie Uggams, and Stefan Kapicic, who reprise their roles for the sequel, and to a few new players including Domino, played by Zazie Beetz, a purple-haired character played by Shioli Kutsuna, Bedlam, played by Terry Crews, and others. Deadpool 2 is slated to hit theaters on May 18th.